Hardwood Industries | KML Edgewood Designer Textured Panels. 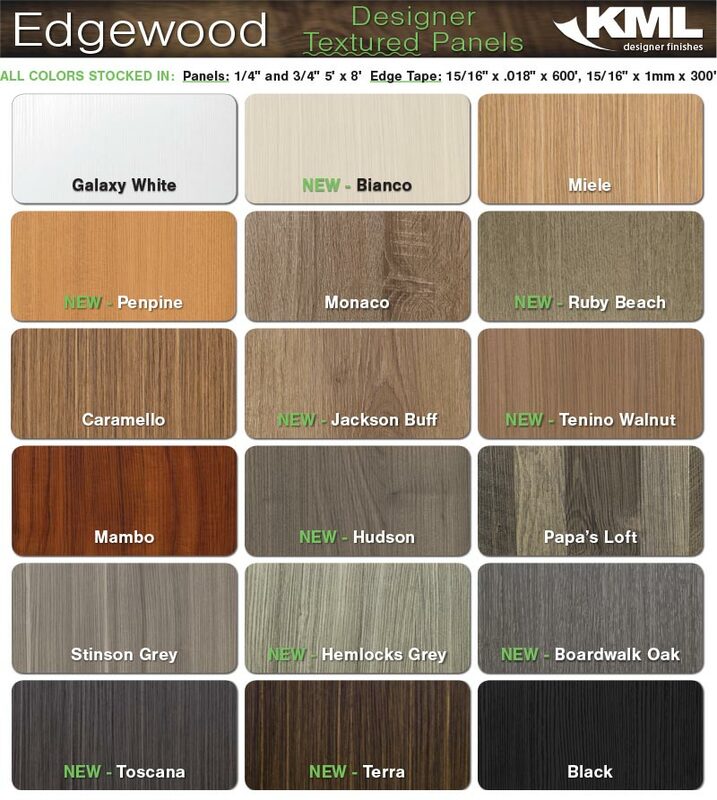 Hardwood Industries Inc. is now stocking Edgewood by KML. KML’s latest designer finish, delivers the look and feel of natural wood grain, but with superior durability and consistency. With Edgewood, designers can now specify exotic materials for large projects with much greater color consistency, fade resistance, & an authentic tactile experience without using exotic natural resources.